Youth workers are exposed to people in crisis all the time. Youth in custodial settings face an array of challenges that can lead them to respond in inappropriate, and sometimes dangerous, ways. 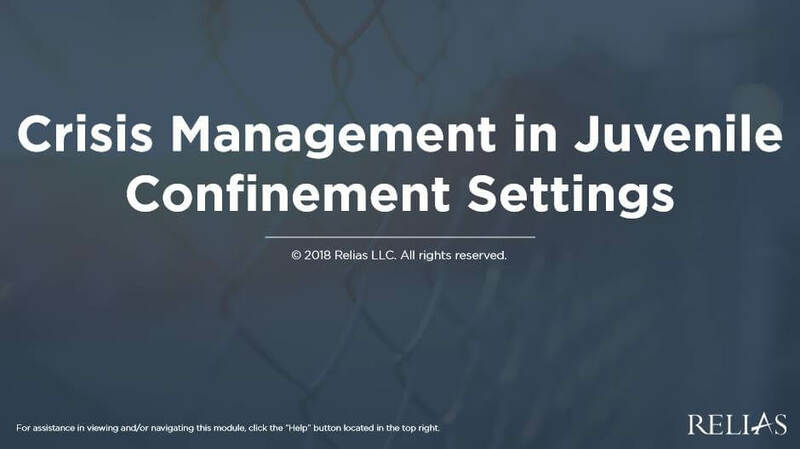 This course will provide youth workers working in custodial settings with an overview of what constitutes a crisis in a juvenile correctional facility, the phases of crisis escalation, and their role in resolving conflict as appropriately and safely as possible. Define crisis and identify 3 behaviors that indicate a crisis in a custodial setting. List the 5 phases of crisis escalation and warning signs of each phase. Discuss 4 responsibilities of a youth worker in resolving a crisis. Explain 3 considerations for the use of force during a crisis.